What is Softaculous for DirectAdmin? 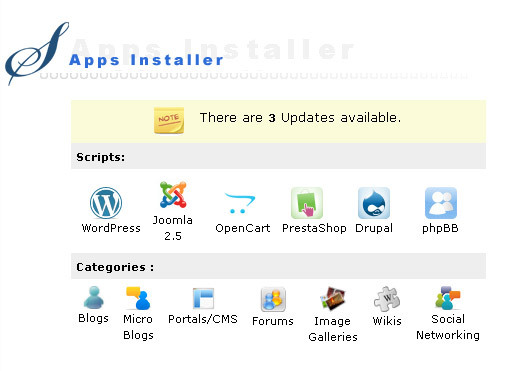 Softaculous is integrated into DirectAdmin and can be installed into DirectAdmin in just 2 minutes. 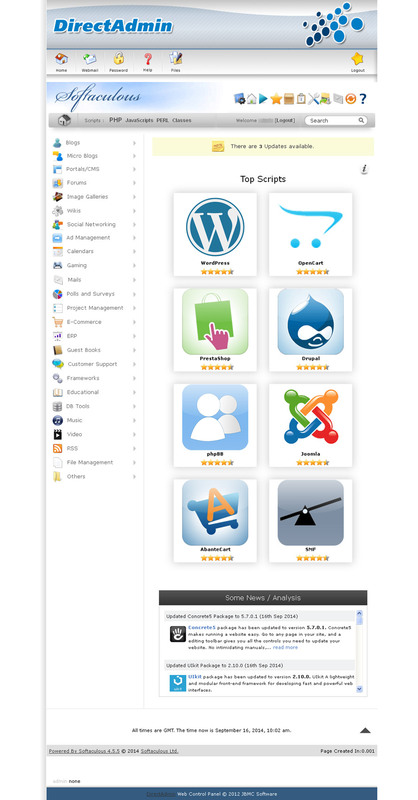 Softaculous is tightly integrated with DirectAdmin and your users can access 450 apps. Softaculous takes care of the complete lifecycle of the application from install to backup to update. How easy is it to Install Softaculous? SSH to your server and just execute the following commands as root (3 commands). Lots of servers to install ? Leave it to our installation experts. Contact our support team and get it done at no cost. Softaculous is very competitively priced and gives you the best value for your money. You will get nothing but appreciation from your customers after installing Softaculous. Need bulk pricing ? Contact the Softaculous Sales team to get a custom quote. Using other auto installer ? Why Migrate from Installatron ?